At the Scene of the Crime: "Sentence first—verdict afterwards." The Hatter looked at the March Hare, who had followed him into the court, arm-in-arm with the Dormouse. `Fourteenth of March, I think it was,' he said. `Fifteenth,' said the March Hare. `Write that down,' the King said to the jury, and the jury eagerly wrote down all three dates on their slates, and then added them up, and reduced the answer to shillings and pence. Years ago, one of the directors of the Barnabas publishing firm disappeared. He never again showed up, and it set something of a precedent for the firm itself. Perhaps that’s why nobody paid any real attention at first when Mr. Paul Brande went missing. Except this time, the missing director shows up—and he’s very dead to boot. 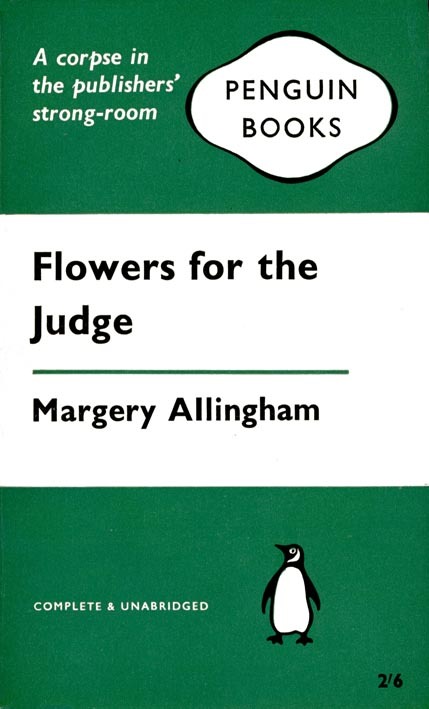 It’s the basic plot set-up of Margery Allingham’s Flowers for the Judge. 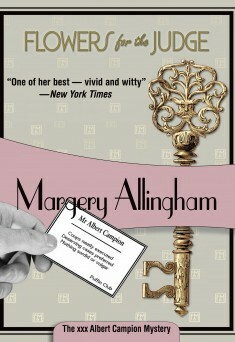 I have gotten to admire Allingham very much on this blog. Her writing was among the most elegant in the Golden Age. For lack of a better word, it is almost poetic. Every word seems carefully planted and yet spontaneous. Everything sounds just right. She has this uncanny talent for characterisation, especially for “crazy” characters—the loonier they are, the more sympathetic and convincing they come out! 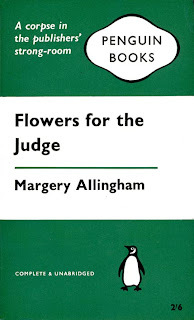 All this comes to play in Flowers for the Judge, which has two things at its core. The first is, of course, the detective plot. Obviously, if Mike is innocent, he needs to be cleared, and Mr. Campion works to this end while the man stands on trial for his life. But a secondary interest is the romantic angle. The book is a very dramatic love story with the protagonists being Mike and Gina. Their love is put through a severe trial (almost literally) and the question is, will they feel the same about each other once everything is over with? Will it even matter? Mike has already been tried by the public and so a simple verdict of "Not Guilty" will not be enough to erase his involvement in the crime from the public consciousness. A full acquittal is necessary or else Mike will find himself living in the shadow of this murder case for the rest of his life, rather like Julia Wallace's husband. At times, the detective element seems somewhat overshadowed by the romance elements, but because they’re so brilliantly done I didn’t mind too much. 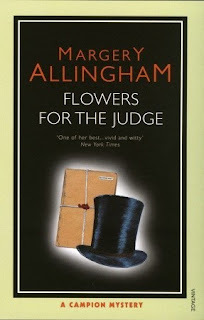 Allingham was maturing as a storyteller and as a writer, and in fact the final sentence of the book is one of those brilliantly memorable last lines. But the detective elements are fairly good too. The only criticism I can really level against that aspect of the book is that the ‘impossible’ problem of the disappearance in the past has a somewhat disappointingly silly resolution. But overall the mystery is solid enough, and it doesn’t carry with it the sting of anti-climax that Police at the Funeral did. The characters are also triumphs, and some of Allingham’s trademark “crazy” characters make an appearance. I loved the character of Richie, a fellow that everyone likes without particularly noticing. I loved the scene at the coroner’s inquest when one of the witnesses, convinced that they’re not going to trick her into saying anything bad against Mrs. Brande, inadverdently tightens the noose around Mike’s neck without even realizing it. I could practically hear her voice echoing in the room at her triumphant concluding remark: “I showed ‘em … They didn’t get much change out of me – nosey parkers!” Magersfontein Lugg plays a far larger role here than he does in Police at the Funeral, and it is generally triumphant— the scenes are often genuinely funny. So overall, I really enjoyed Flowers for the Judge. The slow and careful build-up of the trial is worth every moment, and the mystery element is fairly decent. There’s enough humour to carry us through, some very fun and memorable characters, and a beautiful writing style that ends with a kicker of a final sentence. It’s a wonderful read that has only increased my admiration for Margery Allingham. This has always been one of my favorite Allinghams, Patrick. And I'm glad you mentioned the final sentence; in fact, the entire closing chapter, I think, ranks among the best of her writing. Great review - and I hope it prompts others to look this one up. It's worth the effort. It is a terrific book. She very good at enclosed worlds, and the little publishing company, with its own little social structure, is brilliantly evoked. Richie is another triumph. He's an eccentric, but a believable eccentric. More than just a collection of odd habits, you feel at the end of the book that you might almost recognise him if you met him in the street. An excellent book, though the crappy solution to the impossible disappearance REALLY annoyed me. 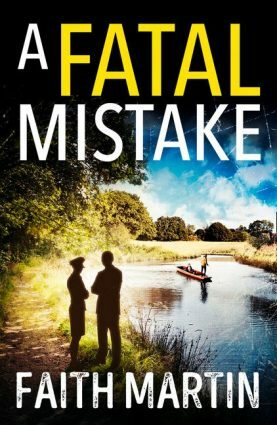 The only Allingham novel I've read, it was a book I remember enjoying--though I have to agree with you and Bob Houk that the explanation of the disappearance--specifically, it's method--was as far-fetched as anything I've ever come across in a mystery novel. It was the kind of "solution" that had me staring at the book and thinking, "Seriously? I'm supposed to buy into this?"